That’s how a past client introduced me to someone at a party this last weekend. 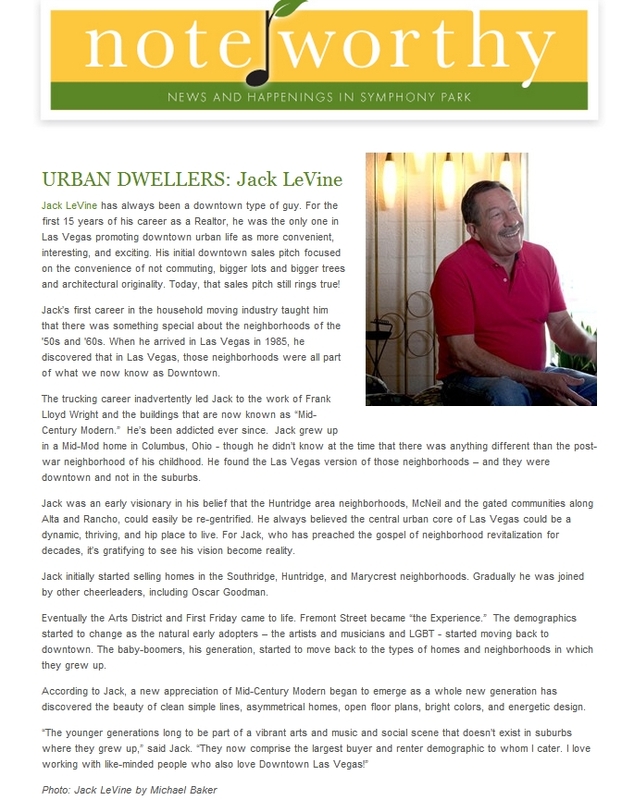 It’s not that there isn’t a readership or a following for information about the Historic Las Vegas Neighborhoods and Mid Century Modern. It’s not that I don’t have a lot of excuses. The good thing is that Google still finds me, and the phone keeps ringing, and the homes keep selling. I do manage to get over to Facebook, occasionally, but we all know what a time consuming trap that it can be. That said – and since you’re reading this, I wanted to tell you some of what I have been doing. The media has been very kind to me this last year. 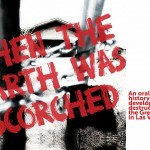 Just this past week, I was one of the 4 people in the Real Estate community that was interviewed by Vegas Seven Magazine for an article about the “boom and bust and bottom” of Las Vegas Real Estate. -It’s been a very busy year. Volume wise – I’m back to 4 or 5 homes a month. August has been insane with 8 closings scheduled. Three have already closed and 5 are set to happen next week. For example, Justin, Mike and Cory are moving this weekend into Rancho Park at Rancho and Alta; Olga and Will are getting a Bill Krisel designed home in Paradise Palms. Cliff and Edie are settling into their new Cinderella Ranch. 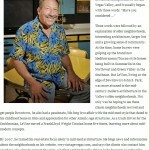 Chris is moving this weekend into his new home in the John S. Park Historic Neighborhood. Dean and Melissa are busy getting ready to flip a great house on 17th Street in the Marycrest area of downtown (watch for it). There have been many dozens of others who didn’t get a shout out but I do appreciate the trust they put in me to help them buy or sell their properties. I’ve also been doing some re-modeling of my own home, and will be repainting the outside this fall. Along the way during the last year and half since the blogging became inconsistent – I lost my mother, all three of the beagles and had another heart attack. SEE – I told you there were some good excuses. However – all’s well now. Thanks for asking. Well the first new post in months is finished and except for a few frustrating moments with the blog editor software – IT DIDN’T HURT A BIT!